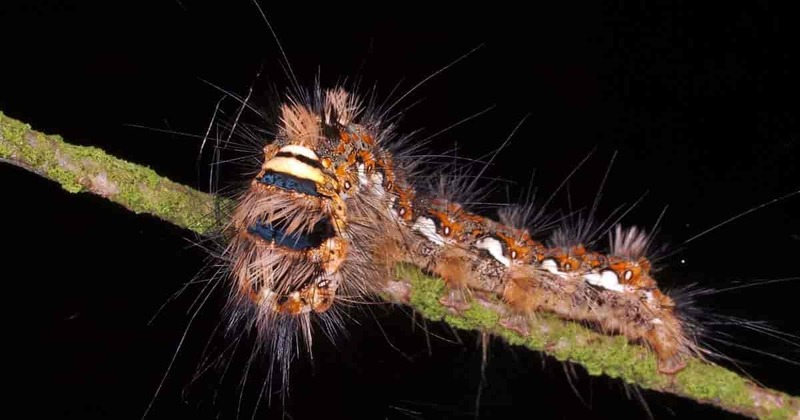 The Bt insecticide spray – Bacillus thuringiensis is a good choice for caterpillar pests, but what about other unwanted insects? Spinosad organic pesticide is an all-natural choice that is effective against a wide variety of unwanted insects yet has little or no negative impact on beneficial insects. In this article, we will discuss safe, effective Spinosad (glycosylated macrolactone) and provide information on how to use it in your yard and garden. Read on to learn more. What Is Spinosad, And How Does It Work? The active ingredient spinosad comes from the fermentation juices of a common soil bacterium, Saccharopolyspora spinosa, accidentally discovered in a Caribbean rum still in 1982. Scientists studied the bacterium and found that it produces a neurotoxin that is effective against a wide variety of insects. In 1997 the US Environmental Protection Agency (EPA) registered the bacterium for use in pesticides. In 2003, the USDA National Organic Program (NOP) granted the substance organic status, but it is only recently becoming well known among home gardeners. This fairly new product is a real boon for organic gardeners, but it also has many commercial uses. This insect deterrent is a fairly new discovery, but it is quickly becoming very popular because it is so effective against thrips, beetles and caterpillars. This product is a neurotoxin which works by stimulating affected insect species until they become exhausted, cease eating and die. When insects come in contact with the substance or ingest it, their muscles begin to flex involuntarily. This causes paralysis and death in fairly short order. The insect will be dead within a day or two. The substance is most effective against thrips and caterpillars, so it is very popular among flower gardeners. Caterpillars and thrips are two of the most common pests for both perennial and annual flowers. Bt is another well-known all-natural pesticide that is very effective against caterpillars eating leaves. Bt is also safe for people, pets, and adult insects, but it does not have staying power. Today, more than eighty registered pesticide products contain Spinosad designed for commercial use in buildings, and for use on home gardens and landscapes including use re products designed specifically for use in buildings and also in and around ponds and other water features. The bacterium is also useful as a seed treatment. This natural pesticidal substance is available as a wettable powder, a liquid spinoza spray and even as bait for fire ants. These products are labeled for use on a multitude of insect pests attacking organic veggies and fruits. These products are suitable for commercial organic operations, small organic producers and home gardens and landscape settings. One of the most popular Spinosad insecticide concentrates is the Monterey Garden Insect Spray with Spinosad. There are also some drugs, personal care and pet care products for dogs and cats that contain Spinosad. It is a common component in flea control products for cats and dogs, as well as head lice treatments for people. How Safe Is Spinosad To Use As A Natural Pesticide? Is Spinosad safe? One of the best things about products containing Spinosad is the fact that they are safe for people, pets and beneficial insects. Spinosad does not harm adult butterflies, and it is also harmless to many beneficial parasites and insect predators. Even so, you should exercise caution when handling this substance. Whenever you use any pesticide be sure to follow the packaging instructions carefully. Avoid excessive exposure to the product and refer to product packaging instructions regarding First Aid treatments if excessive exposure occurs. You can also call , the Poison Control Center, for further instructions. How Can Excessive Exposure To Spinosad Occur? It is common to take in low levels of this substance in your diet. Be sure to wash all produce thoroughly before eating it. You might also be exposed if you inhale the substance, to get it in your eyes or absorb it through your skin while working with it. This is why it is important to wear proper safety gear whenever you work with pesticides of any kind. Excessive exposure to Spinosad is unlikely in most normal conditions. Follow proper safety precautions when applying this and all pesticides. Keep pets and children away from areas treated with pesticides during application and for an ample amount of time afterward to allow the product to dry and settle. Be sure to apply the product on a still day to avoid overspray. Remove protective gear and wash your hands thoroughly after working with the product and before smoking, eating or drinking. If you take proper precautions and handle the product carefully, you should not experience any difficulties. The amount of pesticide the EPA allows on food is limited, so with proper food handling, exposure through food should be negligible. What Are The Signs And Symptoms Of Excessive Spinosad Exposure? The product has a very low toxicity level for mammals, including humans. If you do get it in your eyes or on your skin, you may experience inflammation and irritation. If you ingest or inhale large amounts of it, you might experience nausea, shortness of breath and similar symptoms. In toxicity tests on dogs, moderate doses of the product were administered. Of the 28 dogs tested, only one had a severe reaction in that it regurgitated the substance. The other dogs in the study seemed to be unaffected. How Is Spinosad Processed By The Body Of A Mammal? When this natural bacterium comes in contact with the skin of a mammal, it is not easily absorbed. The substance is absorbed rapidly when it is ingested. Once in the body, it spreads quickly and is rapidly broken down. Most of the substance is excreted through urine or feces within a couple of days. The substance is classified by the EPA as unlikely to cause cancer. Many studies on animals have shown that this substance is not a carcinogen. Animals have been fed low or moderate doses of the substance for extended periods of time (as long as two years) with no increased cancer rates. Furthermore, there has been no indication that this natural bacterium has any effect on genes. How Does Long Term Exposure Affect Mammals? Dogs given low doses of the substance for a period of one year showed some increases in fats and protein in the blood. Furthermore, there seemed to be some negative impact on immune systems. At high doses, some negative reproductive effects were also observed. As with any pesticide or chemical of any kind, if you are pregnant, nursing a baby or attempting to conceive, avoid contact. How Does Spinosad Insect Spray Break Down In The Environment? Sunlight breaks the substance down rapidly. In bright sunlight, it breaks down in as little as two days but can be effective for as long as two weeks. With exposure to both sunlight, and water the product breaks down in a day. When exposed just to water, the product has a half-life of over a month. In fact, it can remain effective for longer than 6 months in a wet environment without sunlight. Spinosad binds quickly and durably with sediment and soil and can remain effective for several months in low oxygen, dark environments. When used in soil, the bacterium binds very thoroughly, and unlike chemical pesticides, does not tend to move through the soil to contaminate groundwater. Several field studies have shown that Spinosad applied to soil does not penetrate the soil beyond a depth of about two feet. This is plenty of penetration to be effective as a pesticide without endangering water supplies. On the other hand, microbes in shallow topsoil break the substance down pretty quickly. When applied to the soil surface, a half-life of approximately three weeks is expected. Once applied, the product is unlikely to be blown about by the wind. How Does Spinosad Affect Fish and Birds? For most birds, this bacterium is non-toxic. For most species of fish, it is completely non-toxic. It can have ill effects on aquatic invertebrates (e.g. snails). It is very toxic for eastern oysters. It is somewhat toxic for earthworms. One very major downside of Spinosad is that it is quite toxic for bees if they encounter it soon after it is applied. Once the pesticidal spray has dried, it does not harm bees or other beneficial insects, so it is very important to apply the product at dusk after bees have turned in for the day. In this way it can dry overnight while bees are asleep. How To Use Spinosad For Pest Control? As with all pest control methods, your first line of defense is vigilance. The moment you see pests, apply the product. This natural pesticide works best when applied to dry leaves late in the day. Because plant leaves absorb the product, this method of application can be effective for about ten days. When you apply Spinosad to broad, flat surfaces (e.g. leaves) it is fairly readily absorbed, but it doesn’t spread into the stems and other parts of the plant. Spray both sides of leaves, especially if the leaves are very thick. If you only apply the spray to one side, the pest may not ingest any of it. Be sure to concentrate your spray on nooks and crannies where pests may hide. You can further safeguard honeybees by covering treated plants with sheets or row cover for a full 24 hours after application. To reduce the chance of excessive exposure, don’t apply the product to vegetables you plan to harvest within a week. Don’t mix up a big batch of Spinosad spray. Only mix the amount you will use today. If you have product left over, apply it to a grassy area that is not near water supplies or drainage ditches. Remember to shake the product thoroughly before application. What’s The Best Way To Store Spinosad? This all-natural product should not be kept at excessively hot or cold temperatures. Store the undiluted product in its original container, out of the reach of children and pets and in a cool, dry, dark place with a fairly constant temperature in the 50-75 degree Fahrenheit range. When stored properly, your products should be effective for a period of approximately three years. Can Spinosad Do It All? Just as with all pest control methods, this product works best as part of an Integrated Pest Management (IPM) system. Good planning, responsible plant care, vigilance and smart practices combined with intelligent use of Spinosad and other natural pesticides and deterrents, such as Neem oil for caterpillars, Diatomaceous earth for pest control and slugs, Bt and others, will help you enjoy a healthy, productive, carefree garden setting.